My 3 year old has become obsessed with these minions. He loves to watch the movies, and recently started playing Minion Rush on my husbands phone. So, because it is so cold out now, and he currently has a very short haircut, I figured it was time to make him a new hat. When I saw this on Ravelry, I knew I had to make it. As a bonus, I had all the yarn already in my stash. I initially made just one eye for it, but he didn’t like that very much and insisted I give him another eye. I think I have to work on making them even a little more. It was a quick easy project and he loves it. My little minion. 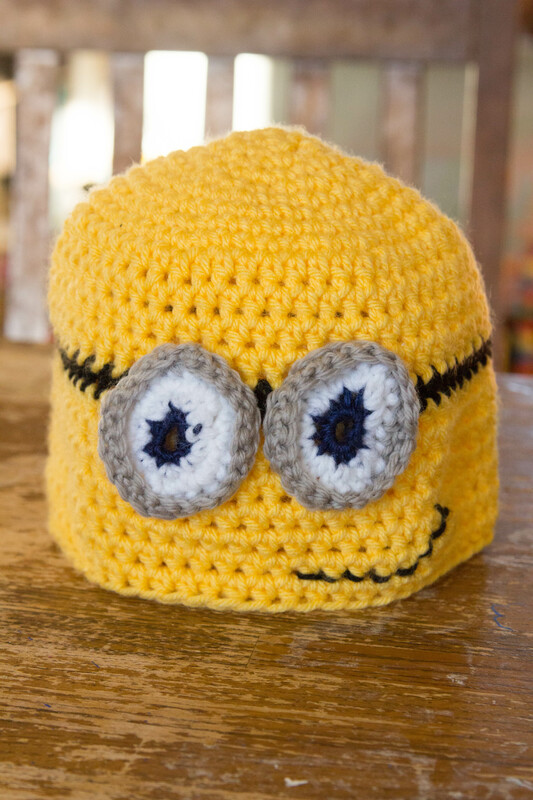 This entry was posted in Crochet and tagged crochet, hat, minion, needlework. Bookmark the permalink.